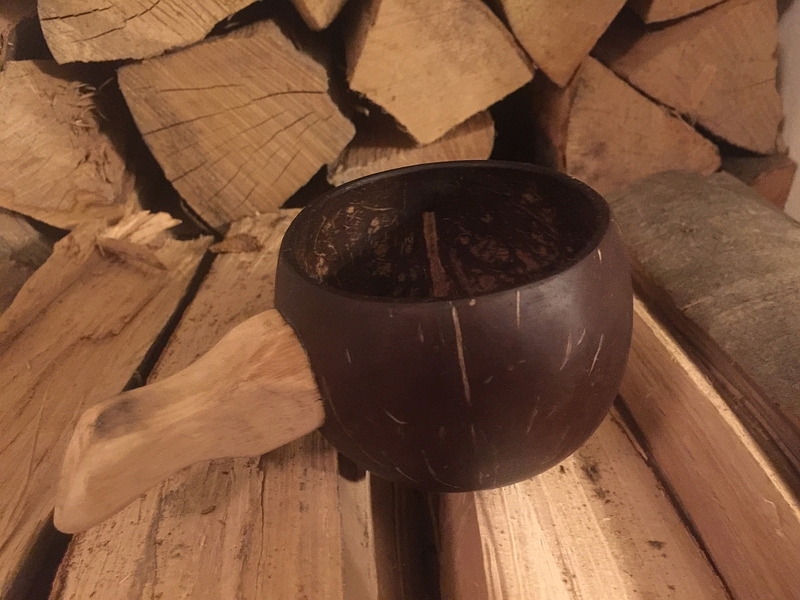 After being inspired by a shopping window of a designer store, where they used coconuts for snacks presentation, I made a drinking cup from one. It's nice, light, and simple to make. And if you shave down the bottom, you can also put it on a flat surface. Funny.....I made one almost exactly the same as yours, but I put a 2-finger, 'D'-shaped handle on mine. At the time, I did not yet have a spoon-knife to remove the meat, so I sharpened the edge of an old serving spoon and scraped it out with that. I'll remember to use my new spoon-hook when I make the next one.....thanks for the ideas, Dabberty! Looks better than the popular plant fiber plastic ones. Me? I'm not ready for Gillian's Island just yet. Good job Dabberty. It came out really well and looks like the right size for a cup. Nice vise too. The last scene with the dog and the cigar simply looks like how a good day in the woods ought to look. Really nice video.